Back in 2008 this would have been an epic contest. Back then the Titans were tops in the NFL at 13-3, and the Steelers were just a step behind at 12-4. Looking at these two teams on the field this year you realize just how long ago that was. The Titans have already exceeded their loss total from that season at 1-4, and at 2-2 the Steelers have been just a shadow of what they were in their best years. The problems for neither team are permanent or fatal, but both squads are in a funk — one that would really be helped out by an impressive win here. While the Steelers are not sharp yet, at least they are playing tight games. They collapsed against the Raiders, but they were still within a field goal at the end. Tennessee, meanwhile, has lost their four games by 23, 24, 28, and 21 points. In other words, outside of their shootout win over the Lions in overtime they have been downright lousy. It is as if the Steelers have been two different teams so far this season. At home they are 2-0. Their win against the Jets was totally dominant. The same can’t be said about last week’s efforts against the Eagles, but they still showed toughness to come out on top in the end. On the road, though, they have been sloppy. Their first trip was to Denver, and it was not as close as the 31-19 score might indicate. Two weeks later they were up by 10 with 90 seconds left in the third quarter, but they didn’t score again and lost to a field goal at the final buzzer. If this game was in Pittsburgh then I would have full confidence in the Steelers, but since it’s a road contest my confidence levels just aren’t as high. Injuries are going to play a big part in this one. Pittsburgh was hit hard last week, and the Steelers will be without two key pieces on defense. Lamarr Woodley has a hamstring injury that will keep him out, and Troy Polamalu has re-injured the calf that has already cost him two games this year. Those are two big blows to a defense that only got James Harrison back from injury last week. While both guys are big names — especially Polamalu — it’s a situation the public could overreact to. The team has too much experience recently playing without the big-haired safety, so it would be easy to be too concerned about this. The injury situation for the Titans, on the other hand, is more of a concern. 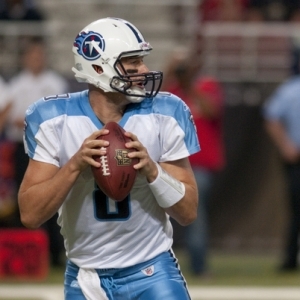 Jake Locker will be out for a second week. While Matt Hasselbeck should be a capable replacement, he was ineffective last week, so it’s hard to get too excited about him. Javon Ringer was knocked out of the last game and will also be missing. The running game was supposed to be a major strength for the Titans but it obviously hasn’t been — they are 30th in the league with just 65.4 yards per game. The loss of their second-best option hurts their depth and is another blow to the reeling team. As bad as the running has been for the Titans, the defense has been even worse. They are dead last in points allowed, and 29th in total yards against. Sometimes a team will struggle against the run but be better against the pass, or vice versa. That’s really not the case here — they are lousy against both. They are just 25th against the pass with almost 280 yards per game, and 28th against the run with 144.2 yards. The offense can’t keep the ball moving, so the defense spends a lot of time on the field and they just get worn down, which makes a bad situation even worse. Ben Roethlisberger has been far from consistent this year, but he has had moments of brilliance and it’s a good bet that he will have one of his better days in this one. There is some interesting line movement here. The public has, not surprisingly, been overwhelming in their support of the Steelers — more than 85 percent of all bets have been on the visitors. Despite that, the line, which opened at six, has dropped to 5.5 in early action. That’s a pretty clear sign that early sharp money action has been on the Titans. The total opened at 43 and has fallen slightly to 42 in most spots. The road has not been kind to the Steelers lately. Counting the playoffs last year, Pittsburgh has failed to cover their last six spreads on the road. They did cover their last game in Tennessee, though. The underdog is 6-2 ATS in the last eight meetings between these teams. Tennessee is 0-5-1 ATS in their last six against AFC opponents. I really don’t like this game. Betting on the Titans at this point is far from attractive. Pittsburgh doesn’t inspire a lot of faith, though. Between their injuries and their inconsistency, it’s hard to believe they will dominate this one like they probably should. In the end I think that 5.5 or 6 points is just too much for the Steelers to be giving up on the road. I am forced to have faith that the Titans can show some pride at home, but I’ll take them and the points. I also lean towards the “under”.